In a case still pending in Louisiana, social media may come back to bite a Jones Act seaman plaintiff. He claims to have been injured on the job, but his Facebook messages seem to tell a different story. In Brannon Crowe v. Marquette Transportation Company Gulf-Inland, LLC, No. 14-1130 (E.D. La. 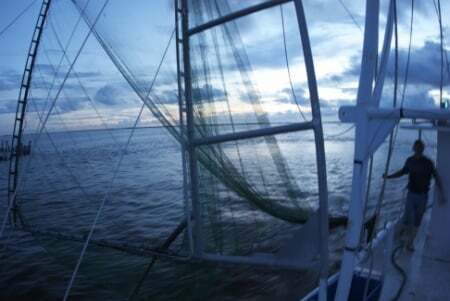 ), a discovery battle ensued in which the defendant employer moved to compel the deckhand’s Facebook account history. The savvy defense counsel even included in their request for production an explanation of how to get that history. The deckhand answered the request by denying he had a Facebook account. He later conceded he had an account but no longer had one. Turns out, he had deactivated his account, meaning the entire account history was still retrievable. The judge was not amused with the plaintiff’s games, ordering production of plaintiff’s Facebook history, for him to review alone, or in camera. After an initial review, the court ordered all 4,000 Facebook account documents be produced to the defense, and even allowed the defense to do further social media-related discovery. The employer defendant learned from Crowe’s Facebook history that he had messaged a fellow deckhand to lie about his injury happening on the shrimp boat. Crowe also messaged that he got hurt before he went to work. Now the employer has filed a counterclaim against the deckhand for fraud, demanding return of substantial maintenance and cure payments and salary advances, and attorney’s fees under state law. Trial is set for August 24, 2015. The deckhand plaintiff now faces a possible judgment for the hefty attorneys’ fees of defense counsel, for his medical bills, and for salary advances he was paid. To date, however, he is still pursuing his Jones Act case, alleging the vessel was unseaworthy because the deck did not have non-skid paint, causing him to fall and injure his knee. As courts become more comfortable with allowing social media in discovery, more “private” messages and information shared via social media will see the light of day in litigation. Both employers and employees could be caught in the uncomfortable position of defending their social media interactions in a court. Defense counsel may want to consider asking plaintiff for Facebook and other social media account information, especially if they have reason to believe there is a smoking gun as in the Crowe case. Counsel should also be careful to advise their clients not to permanently delete their social media accounts and risk facing a possible sanction for spoliation of evidence. This case reveals a sad truth—people lie to gain advantage in court. This of course is nothing new, but social media provides a new way to catch these lies.